PROJECT: Hold the American flag at the starting line for the Peachtree Road Race. 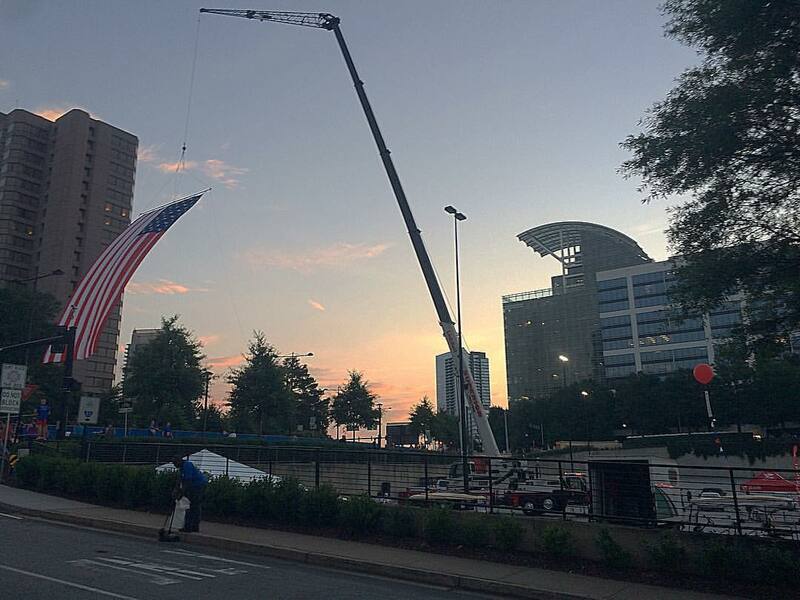 Superior Rigging & Erecting has the honor of hoisting the American Flag at the Peachtree Road Race each year. We have been working the Peachtree Road Race every year since 2007 . We actually fabricated (in the Fab Shop) a spreader bar to hold the flag after the one they were using was not efficient enough to hold the flag safely.